After an extended period, Portugal has returned to growth, with economic activity picking up since 2017. The strong surveillance exercised by the European Union over the finances of the country was abandoned back in May 2017, and the International Monetary Fund's most recent paper on Portugal recognises progress and the narrowing of the gap between the economic and financial cycle following a significant increase in lending to households and to non-financial corporates with good risk profiles. International investment in real estate and a significant revenue increase derived from tourism are the foundations for growth ahead. To deal with legacy debt and the high rate of non-performing exposures in the banking system to avoid the downward spiral that non-viable companies represent to the economy, the banking system reacted sharply and has been reducing the level of non-performing exposures at a steady pace to reach the equivalent level of other European banks in the next few years. Lending by Portuguese banks, international banks and European credit funds under direct lending opportunities are supporting the development of new ventures in Portugal. A not-that-distant past with looming shadows has been replaced with a moderate optimism that is serving certain areas of the economy well, in particular real estate, specific infrastructure sponsored by the Portuguese government and secondary market trade in equity in road concessions and in the energy sector. Furthermore, changes to insolvency legislation and more effective enforcement tools are gradually showing results, and as new international investors become familiar with the geography, the economy and the legal system, a more competitive scenario in M&A is fuelling debt levels. The Portuguese Banking Regulations, enacted by Decree Law No. 298/92 of 31 December, provide that the making of loans is exclusive to and can only be performed on a professional basis by regulated financial institutions. Portuguese branches of non-EEA financial institutions, which are authorised by the Bank of Portugal. Portuguese law does not specifically address situations in which loans are deemed to have been made (or when undrawn loans or revolving facilities are deemed to have been made available) in Portugal; neither are there any official recommendations or opinions issued by the Bank of Portugal (in its capacity as the market supervisor) or case law from the Portuguese courts in this respect. Analysis on a case-by-case basis is therefore advisable. Portugal follows the sanctions imposed by the Security Council of the UN and by the EU authorities under the Common Foreign and Security Policy. In May 2017, a new Law amended the Portuguese Securities Code sanctions regime, adapting to Portuguese law Regulation (EU) No. 596/2014 of 16 April 2014 on market abuse, and transposing Directive 2014/57/EU of 16 April 2014 on criminal sanctions for market abuse. As for anti-money laundering, Portuguese law includes requirements that stem from the EU directives on the prevention of the use of the financial system for the purposes of money laundering or terrorist financing. A new law on anti-money laundering and terrorist financing was enacted on August 2017 partially implementing two EU Directives relating to such matters and to the access by tax authorities to anti-money laundering information. The Portuguese Corporate Income Tax Law has no rules on thin capitalisation, but transfer-pricing rules may affect the deductibility of financing expenses where arm's-length conditions are not observed. In addition, net financing expenses exceeding the higher of 30 per cent of the EBITDA2 or €1 million are not deductible, although both the excess and the unused margin up to the relevant threshold may be carried forward for five years, subject to certain limitations. Withholding tax is generally payable under Portuguese law on interest and fees (other than for financial services) due from a borrower resident in Portugal for tax purposes to any lender resident outside Portugal for tax purposes. The domestic withholding tax rate generally applicable is currently 25 per cent (a 35 per cent rate may apply on payments to blacklisted jurisdictions or to bank accounts the beneficial owner of which is not disclosed). This rate can be reduced under double taxation treaties, provided that the tax residence of the lender is duly attested. interest on bonds issued by a Portuguese borrower and payable to a foreign lender, provided the lender has no permanent establishment in Portugal and is not tax resident in any jurisdiction included in the list of tax havens issued by the Portuguese Ministry of Finance (unless this tax haven has an agreement for exchanging information on tax matters in force with Portugal), and for as long as the bonds are registered in a qualifying clearing system. There are two lending structures that are sometimes used in the Portuguese market to prevent the liability for withholding tax by taking advantage from the above-mentioned exemptions. The first structure, with use of a back-to-back funding structure whereby a foreign lender funds a Portuguese bank or branch of a foreign bank, which then makes the loan to the borrower, is no longer used. This structure may be successfully challenged by the Portuguese tax authorities pursuant to the Portuguese tax law general anti-avoidance rule. Moreover, back-to-back structures necessarily give rise to counterparty risk and additional transactional costs. Alternatively, a bond-loan structure, whereby the loan is made by way of a bond issuance, which is subscribed for by the original lenders, is now recurrent. Instead of using the terms and conditions common in capital markets transactions, the terms and conditions of these bonds will typically include provisions that are akin to standard loans, particularly those concerning covenants and events of default. Nonetheless, adaptations are required to the language used in various provisions and there are certain limitations as to how far it is possible to emulate in a bond issuance the terms and conditions applicable to standard loans, in view of the fundamental conceptual differences between contracts and securities. Moreover, the use of a bond-loan structure gives rise to certain additional transactional costs, such as the fees charged by the clearing system and by the paying agent appointed by the borrower. Stamp duty can be a significant cost in financings in the Portuguese market. Stamp duty is due on loans made to a borrower resident in Portugal, as well as on loans made by a lender resident in Portugal, unless the specific loan is exempt. The exemptions from stamp duty on loans are very limited and mostly relate to loans between financial institutions or by certain multilateral development banks. A borrower is resident in Portugal for this purpose if it has its registered office, or is acting through a branch or other permanent establishment, in Portugal. Stamp duty is calculated by reference to the amount of the loans. at a rate of up to 0.6 per cent depending on the loan maturity. Note that neither bonds nor interest paid thereon are subject to stamp duty. As such, in addition to the matter of withholding tax payment, the use of bond-loan structures may also be more tax efficient from a stamp duty perspective, unless they involve Portuguese security or guarantees. Stamp duty may also be due on guarantees and security granted by or to an entity that is resident in Portugal and on security granted over Portuguese assets. A guaranteed or secured party is resident in Portugal for this purpose if it has its registered office, or is acting through a branch or other permanent establishment, in Portugal, and the same criteria apply in principle to determine whether a guarantor or security provider is resident in Portugal. Portuguese assets include real property in Portugal, movable property physically located in Portugal at the time the security is taken, quotas (shares or equity stakes)3 in Portuguese companies, bank accounts held with Portuguese banks or Portuguese branches of foreign banks, and receivables owed by Portuguese companies. Even if no stamp duty is initially due because a guarantee or security interest is deemed granted outside Portuguese territory, stamp duty may be due later on if the relevant guarantee or security interest is enforced in Portugal or the documentation for such is presented in Portugal for any legal purposes. Notwithstanding the above, if a guarantee or security interest is granted to guarantee or secure a loan in relation to which stamp duty is payable, and provided the documents whereby the relevant guarantee or security are granted are executed on the same day as the relevant loan documentation, then no stamp duty is payable on that guarantee or security. Similar to the position regarding loans, other exemptions are very limited and mostly relate to security or guarantees between financial institutions or to certain multilateral development banks. Stamp duty is also payable on interest and fees or commissions in relation to financial services (e.g., arrangement, agency and commitment fees) and is computed by reference to their amount at a rate of 4 per cent or, in the case of fees or commissions due in relation to the issuance of bank guarantees, at a rate of 3 per cent. As a matter of law, resident lenders, guarantors and security providers are generally primarily liable for paying stamp duty, although the economic burden falls on the borrower. Portuguese law does not recognise the concept of trusts. Furthermore, it is doubtful whether parallel debt structures are valid and enforceable under Portuguese law, even if included within an English law document. As such, subject to the exception of financial collateral arrangements, it is not possible for a security agent to hold security on behalf of lenders. Without prejudice to the foregoing, it is still possible to have a security agent acting on behalf of lenders, provided it does so in the capacity of attorney. This makes it possible that only the security agent executes security documents and ancillary documentation such as notices. Nonetheless, this does not mean that the security agent holds the security on behalf of lenders, as legal title to the security is still held by the lenders individually. Portuguese law expressly prohibits financial assistance. The prohibition applies to loans, guarantees, security or any other form of advance of funds by a company for the (direct or indirect) acquisition or subscription by a third party of shares representing its issued share capital. All transactions that breach the financial assistance prohibition are null and void. The Companies Code is not entirely clear on whether the financial assistance prohibition also applies to companies limited by quotas and there is some debate among commentators on this issue. There are two exceptions to the financial assistance prohibition: the prohibition does not apply to transactions concluded by banks and other financial institutions in the normal course of business, nor to transactions effected with a view to the acquisition of shares by or for the company's employees or the employees of an associate company. Portuguese law does not set out any procedure to circumvent the financial assistance prohibition such as a whitewash procedure. 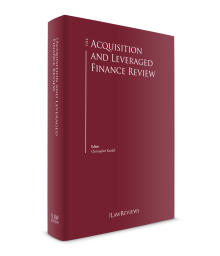 As such, in acquisition finance transactions with Portuguese targets, it is market practice to include limitation language in relation to the liabilities guaranteed or secured by Portuguese companies so as to exclude any liabilities in relation to the funds used for the purpose of acquiring the target shares. A company is only legally able to provide guarantees in relation to obligations of other companies if either (1) those companies are in a control or group relationship with the guarantor company or (2) the guarantor company directly or indirectly benefits from the provision of the guarantee. In order to have a group relationship, a company must have held, directly or indirectly, the whole issued share capital of another company and it continues to hold at least 90 per cent of that other company's issued share capital. Group relationships also extend to cover sister companies that fulfil the foregoing criteria. A control relationship will prima facie be deemed to exist if a company directly or indirectly holds more than 50 per cent of the issued share capital of the controlled company, holds more than 50 per cent of the voting rights of the controlled company or is able to appoint the majority of members of the management or audit bodies of the controlled company. The concepts of control or group relationship only apply in relation to the obligations of companies with their head office in Portugal.4 If the company whose obligations are guaranteed is a foreign company, regardless of whether it is in a control or group relationship, it will be necessary that the guarantor directly or indirectly benefits from the provisions of the guarantee in order for it to be valid. There is no objective corporate benefit test applicable under Portuguese companies law. The direct or indirect benefits for a company from the provision of a guarantee must be considered by the directors of the guarantor company on a case-by-case basis. Therefore, the existence of corporate benefit is primarily a commercial matter and in the first instance is decided by the board of directors or management (as applicable) of the guarantor company. There is no legal limitation on the amount that can be guaranteed by a company, although it may be difficult to justify the existence of corporate benefit for a Portuguese guarantor company where enforcement of the guarantee is reasonably likely to result in the insolvency of the company. The most typical types of security interest in the Portuguese market are mortgages over real property, pledges over shares or equity stakes (quotas), bank accounts and receivables. Following the entry into force of the new regime for the enforcement of commercial pledges in July 2017, it is quite common that – in respect of assets that cannot be subject to financial collateral pledges – lenders create commercial pledges benefiting from the new regime, which allows the appropriation by the creditor of the assets given as collateral if certain requirements are met. Portuguese law does not recognise the concept of a floating charge or blanket security agreement covering all or most of the assets of a company. Therefore, a separate security interest must be created in respect of each specific asset over which security is to be taken. Transfer of possession of chattel or movable property is generally required for security to be valid and enforceable unless the relevant asset is subject to registration. However, a special legal regime known as banking pledge applies to security granted in favour of banks and other financial institutions, pursuant to which security over non-registerable chattel or movable property may be granted without transfer of possession. Portuguese law allows for the granting of security in relation to future or conditional liabilities; however, such liabilities must be determined or determinable (according to objective criteria) at the time the security is granted (e.g., any and all liabilities arising with regard to a specified entity). security over equity stakes in companies limited by quotas should be registered at the Companies Registry, being a requirement for the perfection of the security interest. In both cases, the priority of the security will be determined by the time the request for registration is lodged. The perfection of security over shares may require registration with the issuers of those shares or the financial intermediaries where the shares are deposited or registered. Insolvency claims are split between claims over the insolvency estate and claims over the insolvency. Claims that arise from the insolvency adjudication and after the insolvency – claims over the insolvency estate – rank senior to all other credits over the insolvent party, and must be paid as they fall due from proceeds recovered during such proceedings. These include the insolvency administrator's fees, court costs and debts arising from contracts performed after the adjudication of insolvency. subordinated creditors: holding claims subordinated by agreement (e.g., as a result of an intercreditor or a subordination agreement), claims held by specially related persons, claims arising out of shareholder loans and claims arising out of interest accrued after the insolvency adjudication. This ranking of claims is relevant both to determine the extent a creditor can vote in the insolvency proceedings (subordinated creditors will not be given the opportunity to vote in most of the resolutions to be taken by the creditors meeting) and the recovery rate of their credits. According to Portuguese insolvency law, all assets and rights should be included in the insolvency estate, with the exception of any assets that were the object of financial collateral arrangements. Subject to Portuguese public policy, choice-of-law clauses in loan agreements will be recognised and enforced by the Portuguese courts, provided such choice of law is made in accordance with the Rome I Regulation.5 Foreign judgments issued by the courts of countries that are subject to the Brussels Regulation6 or party to the 1968 Brussels Convention or the 1988 Lugano Convention will be recognised and enforceable by the Portuguese courts without review of their merits, subject to the terms of that Regulation or that Convention, as applicable. the foreign judgment is not contrary to public policy. Foreign arbitral awards issued in countries that are party to the 1958 New York Convention on the Recognition and Enforcement of Foreign Arbitral Awards will be recognised and enforceable in Portugal without review of their merits, subject to the terms of that Convention. As for arbitral awards issued in other countries, a procedure similar to that set out in the Civil Procedure Code for the recognition of foreign judgments is required, unless another procedure is established in an international treaty to which Portugal is a party. This is the case because in its ratification of the aforementioned Convention, Portugal made express reservation for the application of the principle of reciprocity. While there are no fundamental differences between loan documentation for private-to-private and public-to-private transactions, there are certain features of Portuguese law applicable to tender offers that it is important to consider when structuring transactions. The matter of certainty of funds is particularly onerous in the context of Portuguese tender offers. This is because the bidder is required to deposit the amount of, or provide a bank guarantee in relation to, any part of the price to be paid in cash. The regulator has some discretion to appraise the precise terms of bank guarantees delivered for this purpose and, therefore, the matter must be considered on a case-by-case basis. Mandatory offers may be required if an entity directly controls more than one-third, or indirectly controls more than half, of the voting rights in a public company. This may occur as a result of the taking of security (if the pledgee is awarded the voting rights) or of enforcement of security. Squeeze-out regimes are foreseen under Portuguese law for both private and public companies. In the case of the latter, this is generally possible if, following an initial public tender, the bidder acquires at least 90 per cent of the target shares and, as a result, ends up in control directly or indirectly of at least 90 per cent of the voting rights in a public company. The time frame to exercise the right of squeeze-out is three months after the initial bid. If the bidder does not meet the foregoing criteria to squeeze out the minority shareholders in the public company, it may still be possible to force a sale by first making the relevant company private. Tender offers may be subject to conditions, provided these relate to legitimate interests of the bidder and do not affect the normal functioning of the market. Again, the regulator has some discretion to appraise the validity of the proposed conditions; however, the regulator cannot validate a condition the verification of which is controlled by the bidder. Statutory confidentiality requirements apply until such time as the preliminary announcement of a tender offer is published. These extend to cover the lenders to the bidder. Following the analysis of the national economy and business environment carried out by the Mission for Corporate Capitalisation – with a view to introducing measures that support the investment, financing and capitalisation of business companies, in particular SMEs (via the Programa Capitalizar) – the government approved several changes to the Companies Code and Insolvency Code in June 2017. These include (1) a simplified increase of debt to equity; (2) amendments to the special revitalisation scheme (PER) as a recovery tool and a business-led procedure; (3) amendments to the insolvency proceedings; and (4) implementation of several measures promoting electronic requests and filings. The new legal regime on the appropriation in commercial pledges mentioned above was one of the measures of this government programme. The new mandatory debt to equity regime provides an extrajudicial mechanism for the conversion of debt into equity, enabling companies that are economically viable but in a difficult financial situation to strengthen their equity and facilitating their unsubordinated creditors converting their likely unrecoverable claims into equity. In a context of some financial difficulties for local banks that are still engaged in deleveraging processes, alternative financiers and financing structures continue to play a key role. Additionally, the modest profitability prospects and the fact that the stock of non-performing loans remains high is leading to several new potential sales of non-performing loan portfolios by Portuguese banks. Separately, the adoption of new policies and legislation has eased restructurings in the context of insolvency or pre-insolvency procedures, as well as facilitating changes in the shareholding structure of Portuguese companies and debt reprofiling of viable companies. 1 Gonçalo Veiga de Macedo is a counsel and Teresa Novo Faria is an associate at Linklaters LLP. 2 Transitionally, 40 per cent in 2016, 30 per cent from 2017 onwards. 3 The two most common types of company in Portugal are companies limited by shares (sociedade anónima) and companies limited by quotas (sociedade por quotas). In the case of the latter their capital is represented by equity stakes (quotas), which are not securities but instead equity stakes of variable value registered with the companies registry. 4 Note that a limited number of recent court decisions from the Lisbon Appeal Court have decided it was not required that both parent and the subsidiary companies have their seat in Portugal in order for a full control relationship to be established. Although there is no case law rule in Portugal, it is not unusual to see courts following the rationale of decisions of higher courts. 5 Regulation (EC) No. 593/2008. 6 Regulation No. 44/2001, recast by Regulation (EU) No. 1215/2012.